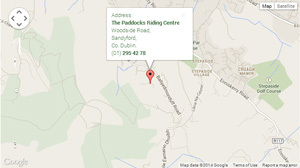 360° Tour - Horse Riding Centre Dublin, riding lessons, livery, horses riding school, stables, pony trekking, equestrian centre, Dublin Mountains, Wicklow, Ireland. Take a virtual tour of the Paddocks. View in 'fullscreen mode' for a better experience.